Ian Wright did not know what to do once upon a time. 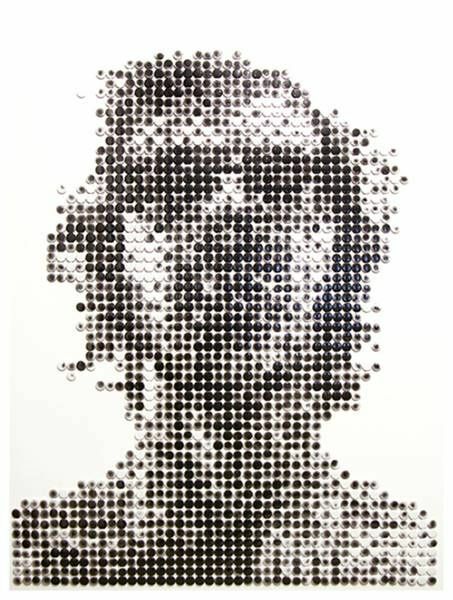 "I'll make a series of portraits of characters from the 60s made up of about 2500 buttons each! 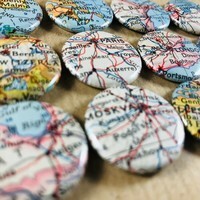 Splendid idea! "The series 'Mass Production' as great result. 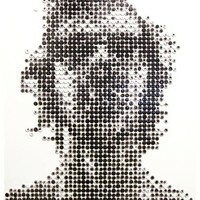 Ian makes more works that he builds entirely out of pixels, but in recent years he apparently likes to use 25mm buttons to represent his pixels. 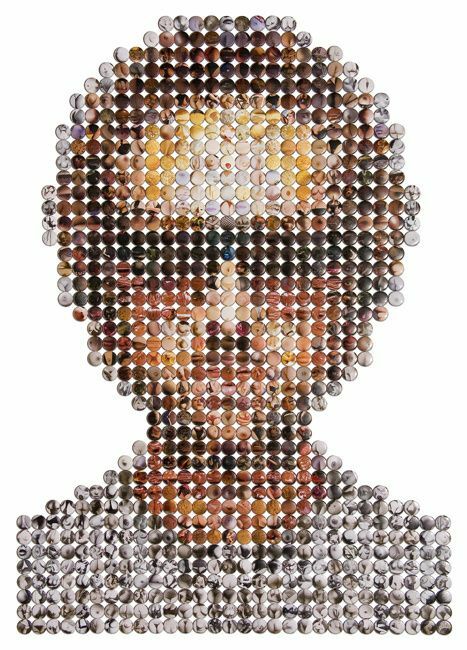 The beautiful convex and glossy buttons really add value to these works! 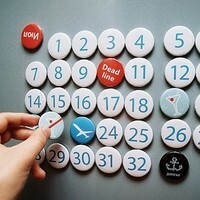 Nice extra dimension: the buttons themselves can have an image or recognisable texture. 'Trevor Jackson' is made up of buttons with food, breasts and buttocks. Nice! Someone wants to make an attempt? We are happy to help!